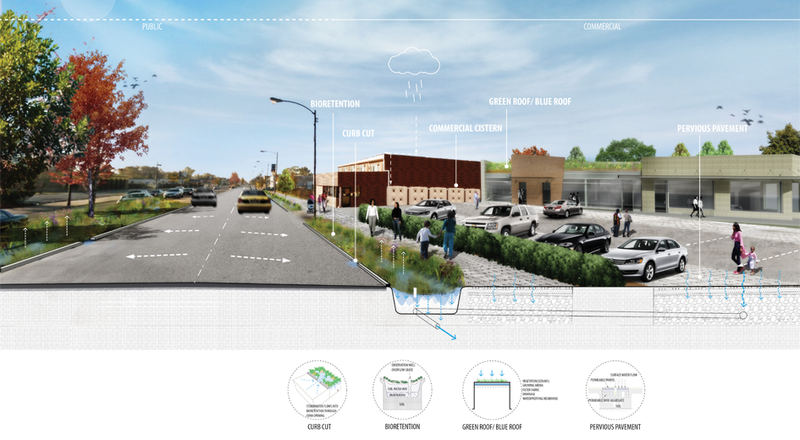 In 2015, the Metropolitan Water Reclamation District of Greater Chicago (MWRD) initiated five stormwater master plan pilot studies “to investigate urban flooding issues and evaluate potential green infrastructure solutions.” This particular study focuses on a severely flood-prone area on the far south side of the City of Chicago (City) that had previously been identified for a potential regional sewer and tunnel solution. 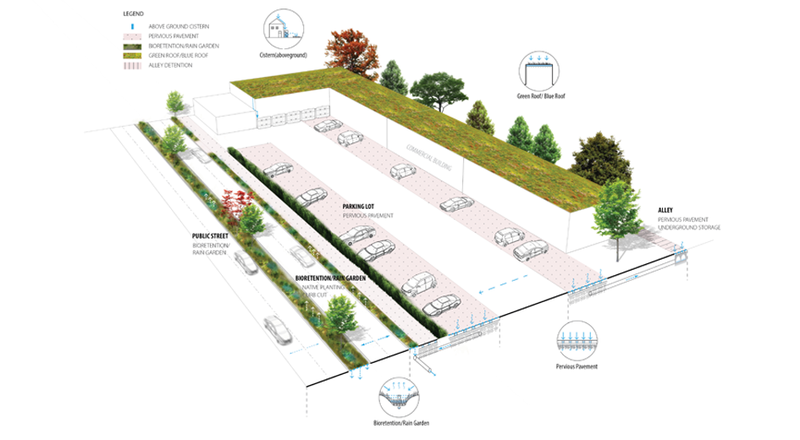 The results showed that a minimum level of grey infrastructure (regional tunnel and projects to alleviate choke points) needs to be functional before green infrastructure (GI) can be a cost-effective supplement. 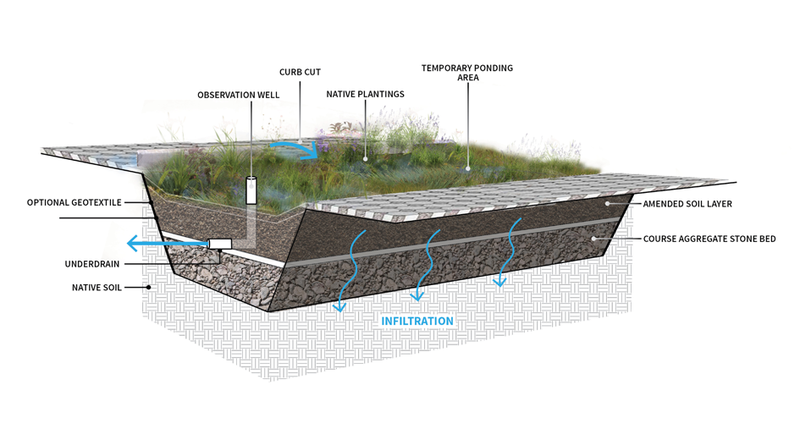 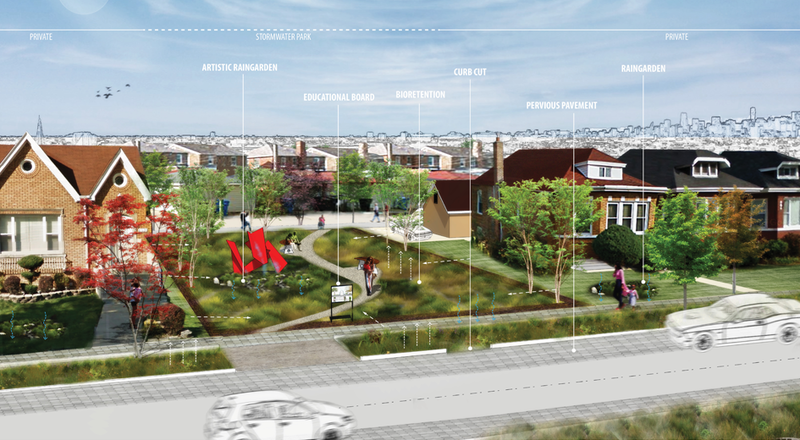 Working with Geosyntec, TGDA provides project illustrative as well as technical advisory for landscape implementation associated with Green Infrastructure stormwater management solutions in greater Chicago area. 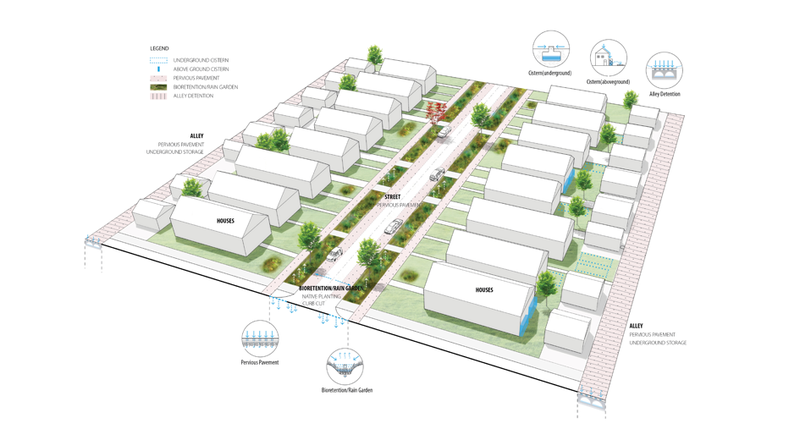 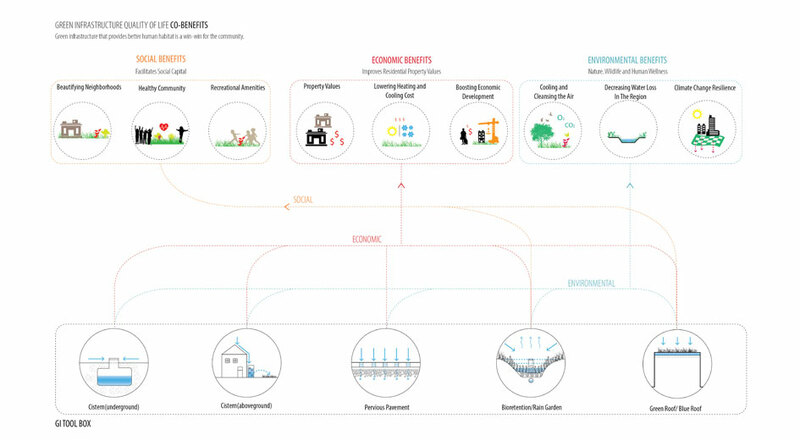 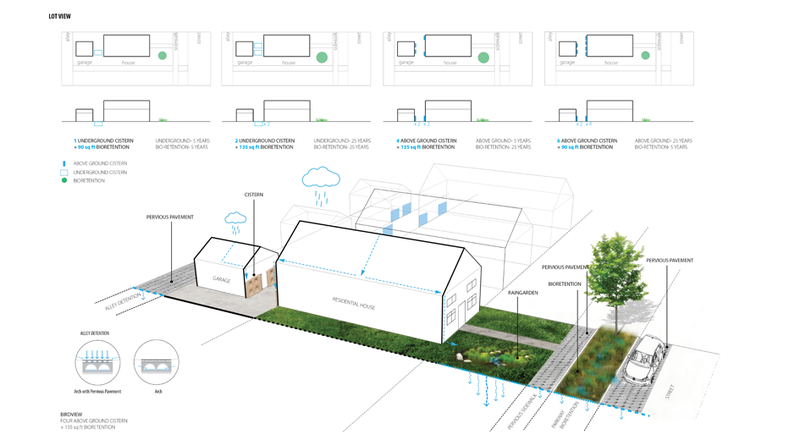 As part of the final product, TGDA illustrates up to 2 typical urban sites, each showing how a suite of Green Infrastructure Tools can be effectively employed. 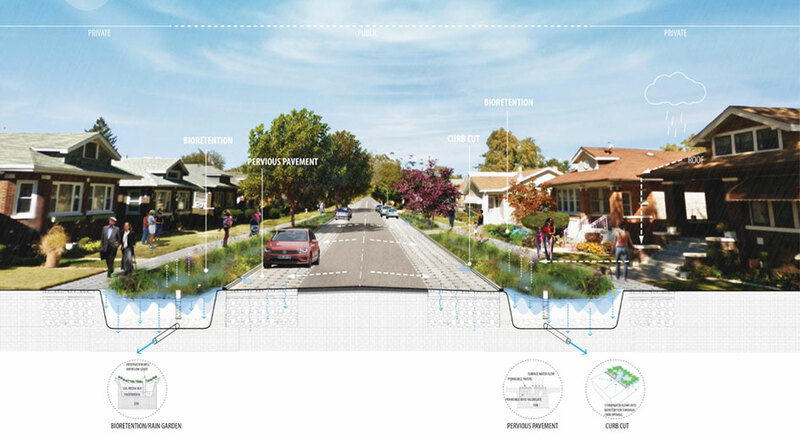 Illustrations include preliminary sketches, revisions, and final computer generated renderings. 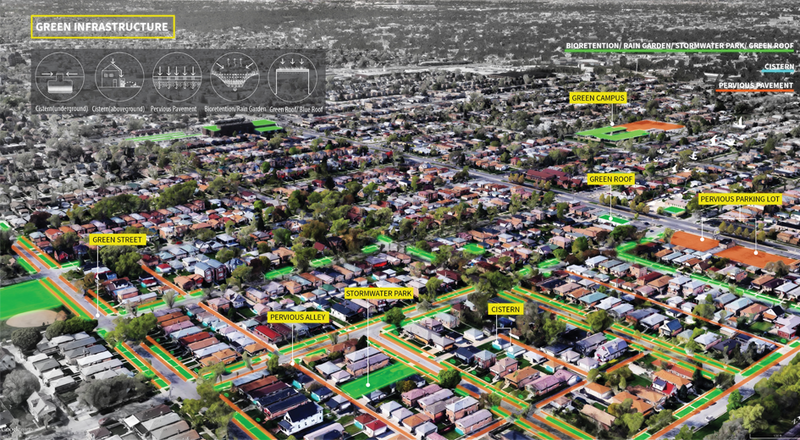 Examples to be selected from include: residential lot and commercial strip.